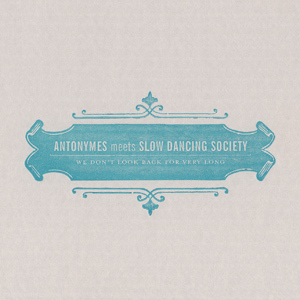 We Don’t Look Back For Very Long sees Antonymes reworking a track from each of fellow Hidden Shoal artist Slow Dancing Society’s four albums, casting radiant new light on the stunning originals. Across almost 30 minutes, Antonymes marries SDS’s glistening atmospheres to his own trademark ambient neo-classical minimalism, creating a completely mesmerising hybrid. This entry was posted on October 12, 2011, 8:08 pm and is filed under Playlists. You can follow any responses to this entry through RSS 2.0. You can leave a response, or trackback from your own site.